“A skeleton found beneath a Leicester car park has been confirmed as that of English king Richard III. Experts from the University of Leicester said DNA from the bones matched that of descendants of the monarch’s family. 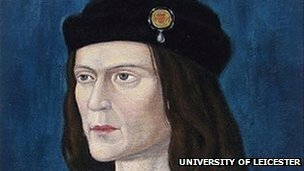 Richard, killed in battle in 1485, will be reinterred in Leicester Cathedral. Mr Buckley said the bones had been subjected to “rigorous academic study” and had been carbon dated to a period from 1455-1540. Dr Jo Appleby, an osteo-archaeologist from the university’s School of Archaeology and Ancient History, revealed the bones were of a man in his late 20s or early 30s. Richard was 32 when he died. His skeleton had suffered 10 injuries, including eight to the skull, at around the time of death. Two of the skull wounds were potentially fatal. One was a “slice” removing a flap of bone, the other was caused by bladed weapon which went through and hit the opposite side of the skull – a depth of more than 10cm (4ins). Dr Appleby said: “Both of these injuries would have caused an almost instant loss of consciousness and death would have followed quickly afterwards. The real Richard III – mad murderer or a man of his times? Testing Richard’s bones – how does DNA analysis work? Other wounds included slashes or stabs to the face and the side of the head. There was also evidence of “humiliation” injuries, including a pelvic wound likely to have been caused by an upward thrust of a weapon, through the buttock. ← Previous Previous post: Maps from the Books! Next → Next post: Footsteps in Time a Break Out Book on I-Tunes! Well, that just adds humiliation to humiliation. I wonder – were there other skeletons also? Or was just his shoved out there? Yeah– I don’t know! It would be cool to visit, though they may well cover everything up again. A car park? Really? I realize it wasn’t a car park several centuries ago, but even if he was killed in battle, he was a king! They wouldn’t have just left his body out in a field to rot would they? This is fascinating! Subscribe to my newsletter to receive updates and new release alerts. What’s the significance of ‘After Cilmeri’? What was up with Cadwaladr ap Gruffydd? I’m a new author … how do I get published? 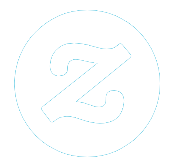 Please note Sarah Woodbury is a participant in the Amazon Services LLC Associates Program and the iBooks affiliate advertising program designed to provide a means for sites to earn advertising fees by advertising and linking to external retailer site.